The answer is related to a private organization of medical assistance. Our goal is providing affordable, but also qualitative health services, goal that is very important for us and for our patients. Our key-values are performance, respect, and also making every single one of your patients feel confident, safe, and valued. We strive for the highest level of professionalism in medical care. We are devoted to our patients, and every interaction that we have with them always has to be defined via perfection. The confort and the satisfaction of our patients are mandatory requirements for us. 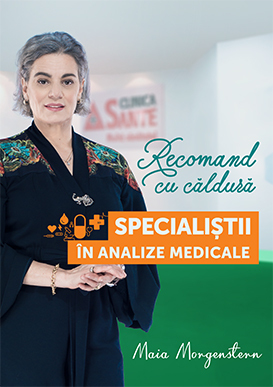 In order to better take care of our patients we decided to take a look at the best care systems in Europe and in the USA and to make use of qualitative and modern solutions for our clinic because nothing is more important to us than valuing our patients and offering them the very best medical services. The Sante Clinic was established in 1995 and even since that very moment we organized and perpetually changed ourselves in order to improve our relationship with patients. Whether it is about the best medical services, or about a complex, complete and efficient communication, or simply about always being there so as to know, feel and satisfy our patients’ needs, we serve every patient with all the means we dispose of. We are present throughout the whole country, in over 24 counties, where we can proudly say we are the leaders of the medical market. Our development continues because we want to be close to all of our patients. The Sante Clinic – Always there for you!